Valuable Coins in Your Pockets? What kind of valuable coins can you reasonably expect to find around the house? 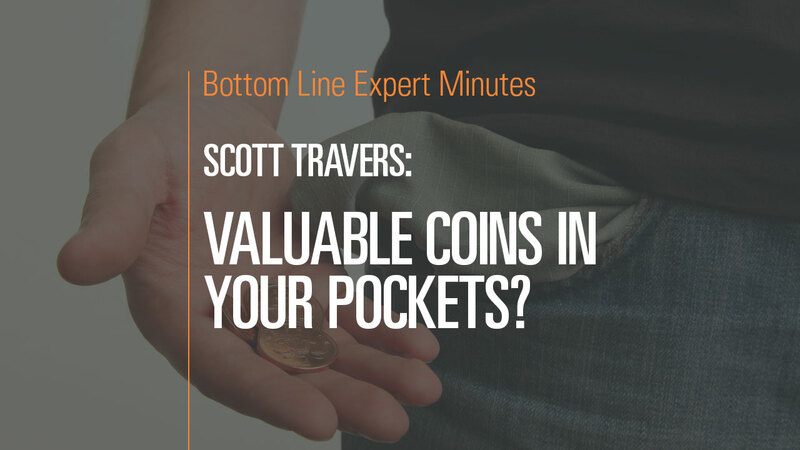 In this video, Scott Travers, gold and rare coin expert and author of The Insider’s Guide to US Coin Values, tackles this topic and gives examples of some collectible coins that you might find among your pocket change now. Every single dime, quarter, half-dollar and dollar coin from 1964 or before has a premium value. In addition, Mr. Travers lists some specific newer coins that are worth money to collectors. The specific thing to watch out for is obvious imperfections (such as doubling) on coins. Finally, with newer coins, high-grade examples (such as those that have spent little or no time in general circulation) are likely to be of value to collectors.